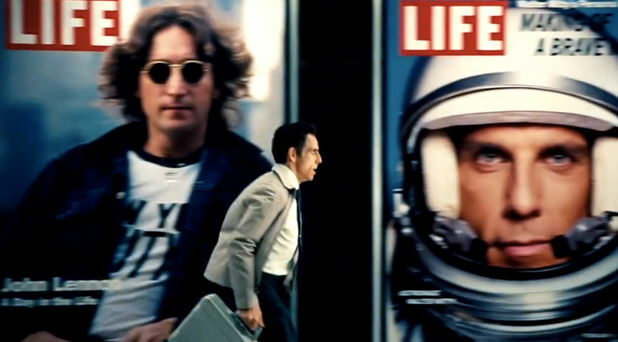 There's a new Secret Life of Walter Mitty trailer online; for the first time we get some dialogue and begin to see something of the story-line behind Ben Stiller's directorial debut of Thurber's story. The cover shot is missing, Ben has to find it. Aha! What else will the daydreaming man of inaction find as he ventures on this adventurous mission? love with Kristin Wiig maybe? Delightful too, to see Shirley Maclaine talking about Mitty "zoning out". I think we've lost something of the exquisite majesty the wordless version held out like a promise; take a look, what do you think?